Small businesses may qualify for employer health care tax credits if they have fewer than 25 full-time equivalent employees, making an average of about $50,000 a year or less, excluding the wages of owners and their families. To qualify for the Small Business Health Care Tax Credit, Colorado companies must pay at least 50% of your full-time employees’ premium. Businesses do not need to offer coverage to your part-time employees or to dependents. In 2015, the tax credit is worth up to 50% of your contribution toward employees’ premium costs or up to 35% for tax-exempt or non-profit employers. The credit is available only for Colorado companies that get employer sponsored health insurance coverage through the SHOP program in Connect for Health Colorado. More detailed information from the IRS on the Small Business Tax Credit is available here. According to a newer IRS ruling, employers need to calculate their employees’ hours of service every month for a minimum 6 month period before January 1st and that a “common law employee” is one that averages 30+ hours of service per week for any given month.” So, the key is if the full-time employees plus the common law employees that average 30+ hours of service per week for any given month is greater or less than 50. For more details on this please see this FAQ from the IRS on calculating the number of full-time equivalent employees or use Healthcare.gov’s FTE calculator. ObamaCare, or the Affordable Care Act (ACA), does not require employers to provide health insurance for their employees. However, there can be penalties for businesses with 50 or more full-time or full-time-equivalent employees who don’t offer affordable health insurance coverage to employees. There is NO PENALTY for businesses with under 50 full-time-equivalent employees who do not offer health insurance coverage. Businesses with more than 100 employees must offer coverage to 70% of their full-time employees in 2015 and 95% of their employees in 2016. Employers will need to certify on a form that they did not drop employees to avoid providing coverage. Starting on January 1st 2015, large businesses with 100+ full-time workers that do not provide adequate health insurance will be required to pay an assessment if their employees receive premium tax credits to buy their own insurance. These assessments will offset part of the cost of these tax credits. The assessment for a large employer that does not offer coverage will be $2,000 per full-time employee beyond the company’s first 30 workers. Starting on January 1st 2016, businesses with 50+ full-time workers that do not provide adequate health insurance will be required to pay an assessment if their employees receive premium tax credits to buy their own insurance. These assessments will offset part of the cost of these tax credits. The assessment for a large employer that does not offer coverage will be $2,000 per full-time employee beyond the company’s first 30 workers. To be deemed “affordable,” the health care insurance provided by the employer must pay for at least 60 percent of covered health care expenses, and employees may not be forced to pay more than 9.5 percent of their family income (before deductions and adjustments) for coverage offered by employers. The question of how an employer is supposed to know the amount of “family income” is not yet addressed. If a business fails to provide any coverage or the coverage is deemed not to be affordable, the amount of the penalty is $2,000 per worker, but the first 30 workers are excluded from the calculation. ObamaCare requires that employers with 50 or more workers provide health coverage to workers and dependent children until they reach age 26. However, the law does not require employers to provide health coverage to spouses, whether or not they are eligible for other health insurance. ObamaCare also requires employers with over 200 full-time employees to automatically enroll new employees who are eligible for the company’s health care plan. An employee must opt out if he or she doesn’t want this coverage. Employers are required to provide employees with a standard Summary of Benefits and Coverage (SBC) form explaining what their plan covers and what it costs. You can find the SBC’s for non-grandfathered plans here. Employers are required to report the cost of coverage under an employer-sponsored group health plan in box 12 on W-2 forms. Keep in mind that this does not mean that the coverage is taxable. See the IRS documentation for more info. 2017 guidance confirms that HRAs can be used with individual insurance under ACA requirements. Under the 21st Century Cures Act, signed into law December 13, 2016 by former President Obama, small employers can fund or reimburse for employees’ medical expenses, including coverage on the individual market on a pre-tax basis. Only small employers with fewer than 50 full-time employees may offer Qualified Small Employer Health Reimbursement Arrangements (QSEHRAs). Small employers who offer QSEHRAs may not offer a group health plan to any of their employees. Reimbursement payments to employees are capped at $4,950 for individual employees or $10,000 if family members are on the plan and the caps will be indexed annually for inflation. Small employers must also provide employees with a notice which includes the amount the eligible employee receives in the QSEHRA for the year; a statement that the eligible employee should provide this information to an exchange when applying for advance premium tax credit; and, a statement that if the employee is not covered under minimum essential coverage the employee may be liable for an individual mandate penalty and the QSEHRA amount may be included in the employee’s gross income (and hence taxable). The arrangement provides, after the employee provides proof of coverage, for the payment to, or reimbursement of, an eligible employee for expenses for medical care (as defined in Code section 213(d)) incurred by the eligible employee or the eligible employee’s family members (as determined under the terms of the arrangement). The amount of payments and reimbursements described in (2) for any year do not exceed $4,950 ($10,000 in the case of an arrangement that also provides for payments or reimbursements for family members of the employee) (with amounts to be indexed for increases in cost of living); and the arrangement must be provided on the same terms to all eligible employees of the eligible employer. The statutory exclusion of QSEHRAs from the group health plan definition is effective for plan years beginning after December 31, 2016. To be an eligible employer that may offer a QSEHRA, the employer may not be an applicable large employer (ALE) as defined in Code section 4980H(c)(2) (and thus may not be an employer that, generally, employed at least 50 full-time employees, including full-time equivalent employees, in the prior calendar year) and may not offer a group health plan to any of its employees. There are many additional rules and regulations that must be adhered to. 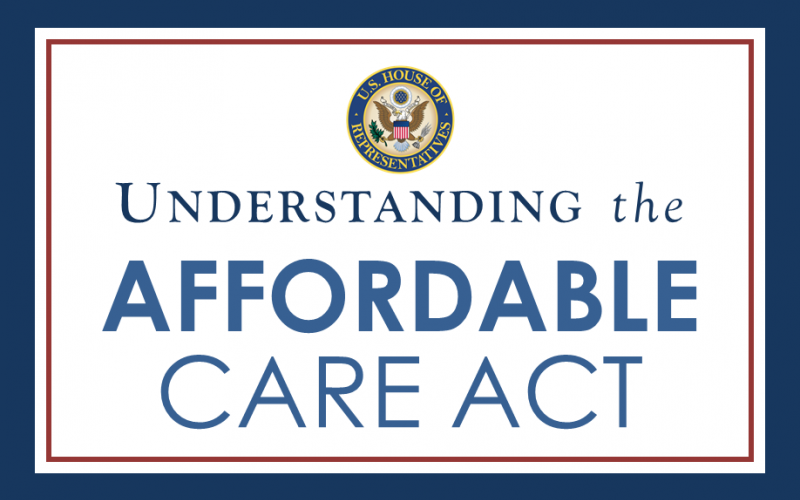 The US Department of Labor’s Affordable Care Act web directory provides a wealth of information. Or let us assist your company as your Broker. Get a group health insurance quote and more information about ObamaCare, HRA’s and SHOP exchange plans in Colorado.